Review. 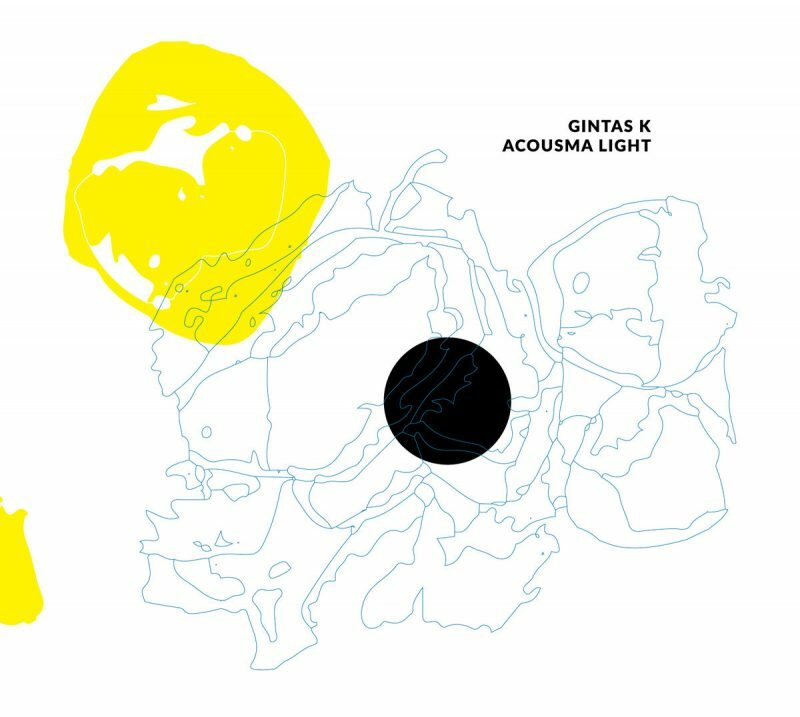 GINTAS K - Acousma Light (2018). Great joy of Pythagorean Music! This is the first musical album i review this year. It was released on the 2nd day of the year. Lithuanian artists prove that they are prolific even when others party. GINTAS K (Gintas Kraptavičius, 1969, Marijampolė, Lithuania) is one of the best composers i've ever heard, and his many works are different and worth to listen to. It all started from punk rock, later he established the first industrial electronic band in Lithuania MODUS (1988), and then started to release experimental music albums as GINTAS K. Album title ACOUSMA LIGHT refers to Acousmatic music in which a sound source isn't visible during the concert or listening session. In 1955 a pioneer of musique concrète, French composer Pierre Schaeffer coined a term acousmatique, derived from the Greek word ἄκουσμα akousma, "a thing heard". The latter was used by Pythagoras to describe uninitiated disciples. According to historical sources, the aspirants had to follow a vow of silence for five years while listening to the teachings of the master behind a screen (a curtain), without seeing him. So, what does this album teach us about? It's no way silent (although, in the middle of the longest - 7th - Episode we can observe silence for a couple of minutes), and it's quite long, even 72 minutes. Nevertheless, the album is very interesting and intense - it varies from near-noise sounds to more silent explosions of notes. All album seems to be a concept one not only because of Acousmatic matters, but also because of its music. It is different from other GINTAS K's albums as it has a totally different sound. My favourite tracks (Episodes) are 5 and 8, but i recommend to listen the whole album from the beginning to the end. In the informational part of the digital album it is written: In a composition Acousma Light sound components are being grained into sonic particles - as elemental as possible. The sound of the piece may be described in such characteristics as timbre, spectrum of sound, varying and changing speed of motion. In the first stage of composition, in which a recording of live performance takes place, a principle of sound deconstruction is being employed. Recorded material is then being organized into a structure that gradually evolves into a crystallized form. The design and the cover art of the digipak is very nice, and it's made by old friend and colleague of GINTAS K - Juodo. Cover image represents balancing stones from inner ear. They are attached to sensory hair. When the head tilts, the movement of stones causes nerve impulses that originate into a sense of balance. GINTAS K is a very productive composer and released in total more than 50 albums and collaborations. Last year he released two albums (2014, attenuation circuit, ACP 1101, Germany, and Under my skin, Crónica 124, Portugal), one collaboration (I Will Loose It, with Estonian artist Roomet Jakapi, Powdered Hearts Records ‎– PH16, USA), and one track (A1geras) in Powdered Hearts Winter Sampler (2017-18) by Powdered Hearts Records and Tapes. You may find these links useful while listening to GINTAS K's music. By the way, he is also a writer, whose debut was in famous literary almanach VARPAI in 2009. GINTAS K is also a professional saxophone player, so i wouldn't be very surprised if one of his next albums would be a jazz album. GINTAS K is a sound artist exploring granules, hard digital, memories. His works have been published by record labels Crónica, Zeromoon, Con-v, m/OAR, Copy for Your Records, Baskaru, Ilse and presented at various festivals (Transmediale.05, Transmediale.07, ISEA2015 etc.). GINTAS K is a winner of the II International Sound-Art Contest “Broadcasting Art 2010” held in Spain. I almost never write evaluation of albums, but this one is really worth 10+ (from 10). Great joy of Pythagorean Music!